We are now offering custom Christmas ornaments! 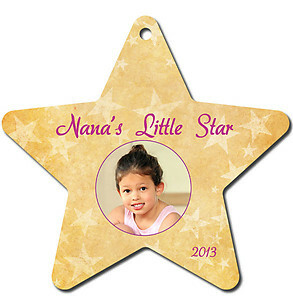 We can put just about any image you would like on one of the ornaments below. You can use an image of your baby to customize your baby's first Christmas, or use your wedding photo to personalize an ornament to celebrate your first Christmas together. 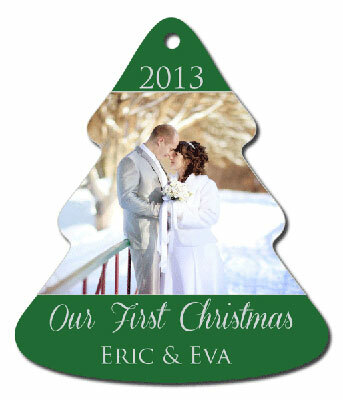 We can add the date, name or whatever you want on the ornament. The possibilities are endless to the kind of ornament you can create. We print on both sides of the ornaments. You can use the same image on both sides of the ornament, or use a different image for each side. Another option is to put an image on one side and a Christmas background with your text on the other side. All you have to do is email us a jpeg or gfit file the image you want to put to on the ornament and let us to the rest! We recommend at least a 200 dpi image. Give us a call or email us so we can help you create the perfect ornament. 800-787-8777 or roadrunner@tri-lakes.net The more you buy the more you save! We offer free shipping on ornaments.